Could the iPhone 8 come with a curved OLED screen? Apple is working on a curved OLED screen for the iPhone 8, or at least that’s what “people familiar with the matter” have said, and it’s a somewhat believable rumor, as it’s something we’ve heard before and something Samsung already offers with the likes of the Galaxy S7 Edge. All of which would make for a huge change to Apple’s phone, but with the iPhone 8 launching on the iPhone’s 10-year anniversary big changes are exactly what we’d expect. Don’t get too excited though, because the sources add that this model is one of more than 10 prototypes being considered, so it may not even be released. 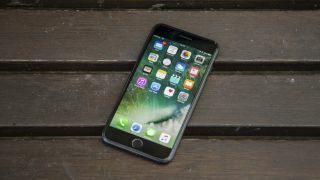 And if it is it’s likely to be more expensive than a standard iPhone, though apparently the OLED handset could be one of several models launched, so if you don’t want or can’t afford it there are likely to still be cheaper versions of the iPhone 8. For our part, we can see Apple heading into OLED, and potentially even a curved OLED screen, as not only has it been rumored several times, but OLED tends to deliver more vibrant images, and its flexibility lays the groundwork for foldable phones, which could be in Apple’s future. Talk of a higher resolution than Samsung’s phones is less believable though. Apple has never chased high resolutions and currently trails way behind the QHD displays on the latest Samsung flagships. Going beyond QHD would have little visible benefit and could seriously hit battery life. The only major argument for it currently is to aid with VR, but that too is something Apple hasn’t shown much interest in – choosing to favor augmented reality instead. But then again, Apple has always been secretive, and there has been some suggestion that VR is in its future, and with the iPhone 8 likely still 10 months away Apple’s got plenty of time to work on it.